Bonus! 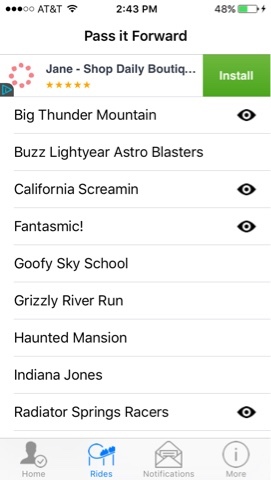 When your timer is done, your phone will play the whistle noise you hear when you enter the main gate to the parks. Fun!! 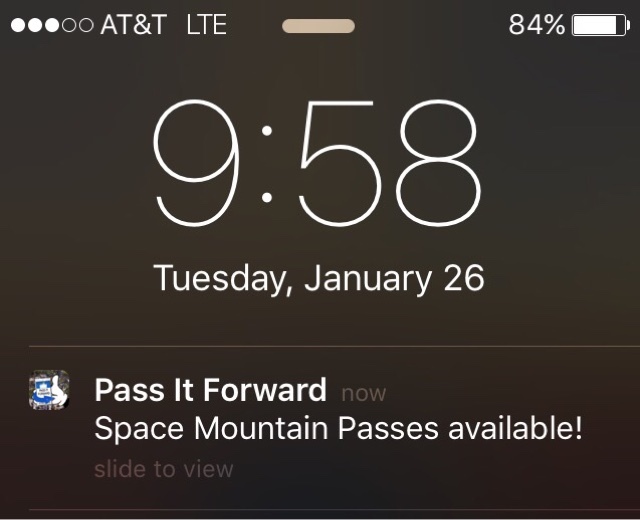 When passes became available that matched one of my rides, I got a notification on my phone. 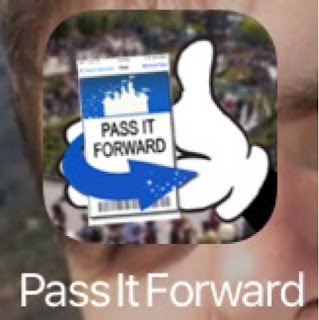 Pass It Forward is a really fun app that I hope takes off! 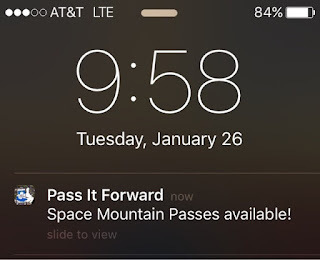 In the two days I've been checking it out, I've seen four sets of Fastpasses come up based o my setting. 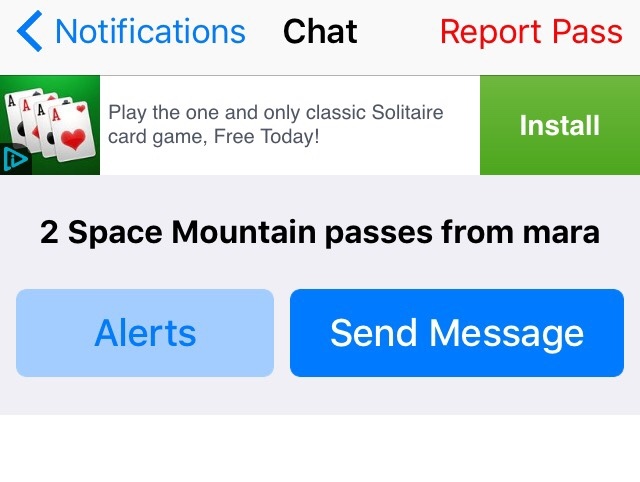 That's not bad for a brand new app. 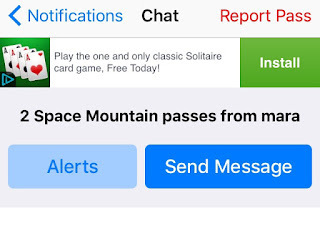 What a great way to share Disney magic with other park guests!! I'll be giving it a try on my next trip.